Synopsis: Following the events of Metropolis and Gotham’s alien encounter, a secret government agency begins recruiting a motley crew of dangerously gifted criminals – patsies for fighting against the ultimate threats. Much like Guardians of the Galaxy, flogging an unknown bunch of misfits from a series of comics/graphic novels that even the most self-professed geek has come across, takes a lot of skill for cinematic gold. 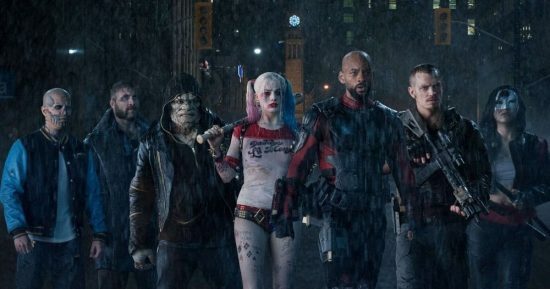 When the dangerous troop known as the ‘Suicide Squad’ were announced to have their own film, it may have only been The Joker and Harley Quinn that most recognised. However, walking away from the film, you will certainly remember the lot (bar one, the most basic of all MacGuffins). It isn’t up to par with the galatic Marvel squad movie, and there are a shameful amount of misfires in Suicide Squad, but it does have its moments. To say the film thrills is a step to far, and what makes it fun is the macabre stylings. If DC are learning anything from Marvel, it’s that taking yourself too seriously is a mistake. This is no Deadpool – a film that went relatively far at proving itself an adult comic-book adaptation – and the darkness and maturity could have been ramped up a bit. You can feel writer/director David Ayer pushing this agenda forward, only to have Warner Bros. dilute his fizzy soda of shock. The film’s biggest issue is this sense that too many cooks have spoiled this broth. Ayer’s recipe, imaginably, was for a lot rawer, bloodier display. When you see the film, and notice the incredibly shoddy editing that must have resulted from WB adding one too many comments, you realise you’re missing out on a different film. Whether we’ll see a director’s cut is hard to tell, but judging from the trailers with clips not seen in the final film, there must be more awaiting Home Ent. The plot is nailed together with various storyboards, and action takes place way too quickly, dragging in sections, and supplying no real kick. This is something Ayer is to blame for, albeit, and from the writer/director of Training Day and End Of Watch, you expect a little bit more. The style is there, something that will really separate it from other comic-book adaptations, but if that’s only one of the few things to remember, you’re looking more at a Batman & Robin comparison, rather than Batman Begins. It is most certainly the cast that hold this film together, and the casting choices have been terrific. Ignoring Cara Delevingne who simply shouldn’t act (with only her hips bringing some movement to her wooden performance), the rest are wondrously fun. In a film where even Jai Courtney can be enjoyed, you know you have something. Will Smith and Margot Robbie are the paramount stars, showing off why they are such in-demand names, but lesser known crew members such as Jay Hernandez and Karen Fukuhara give you other characters to enjoy. Jared Leto as The Joker will be one that divides a lot of people. His performance, in my opinion, was over-the-top and reeked of desperation; it’s understandable to see his need to differentiate his performance from others, but its amalgamation of what’s come before, leaves him looking like a cheesy soap actor. If the new Batman film must focus most of its attention on him, there’s something else not to look forward to. Whatever comes next for the Squad, however, is something to look forward to, now that the characters are a bit more defined, and reactions perhaps alter its succeeding phase. As brilliant as the marketing was, Suicide Squad isn’t the film the fans are going to want. However, it does give audiences what it wants, and will no doubt be a huge success. Not everything has to be perfected, and critics like myself needn’t be so harsh, but there is a honest-to-God problem with Suicide Squad, one that could have been avoided with a little more time spent on story, style and mode of address (this is a 15/R-rated, so make it feel like it). Come for Harley Quinn, El Diablo and the more intimate scenes (such as the latter half’s bar chat) and you’ll have something to enjoy. 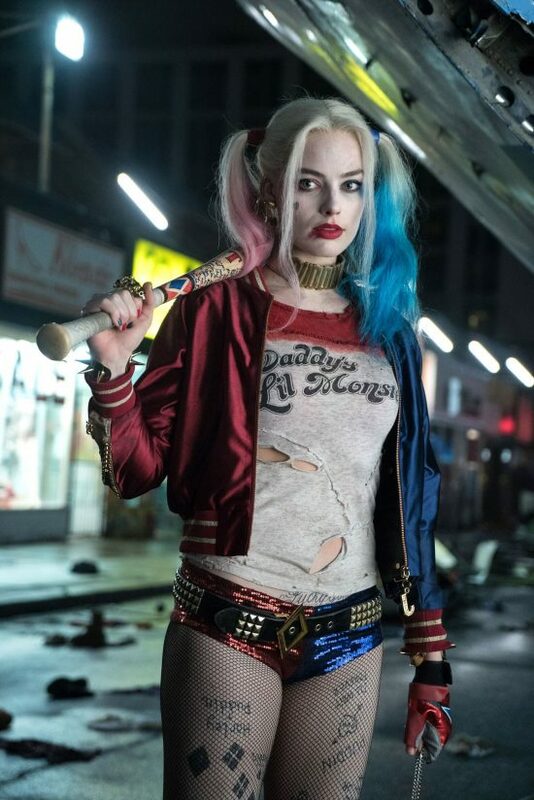 Check out all of our Suicide Squad coverage.